Muah chee is type of snack from Singapore. I always ate it when I visited Singapore although the last time, I went there, there were not many people selling anymore. I made it again today. I just realised, the second time is so much easier. I remember I put in lots of effort the first time, anyway, I better write it down this time so I will never forget. I toasted the peanuts and sesame lightly to get the fragrance. It makes the house smells good too. I did remind me of the shopping centre food court in Singapore where they sold Muah chee. I mixed the peanuts, sesame and sugar together and left it aside on a baking pan. it takes me about three times turning, it is ready to be added to the peanuts mixture. 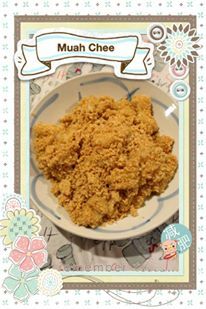 This entry was posted in Ngeracik and tagged #muahchee #singaporefood #singaporesnack #peanutsnack on December 20, 2016 by admin.